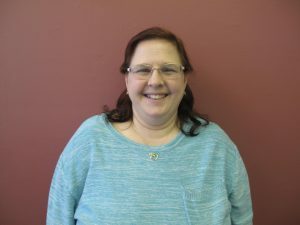 Are you or someone you know unemployed? Or maybe you’re under-employed and need a better job? 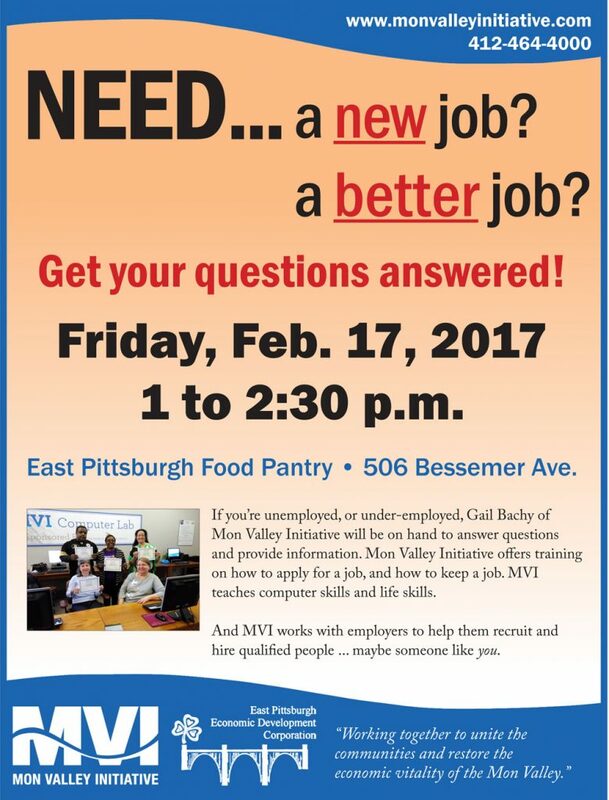 East Pittsburgh area residents who find themselves in that situation can get free, confidential help from 1 to 2:30 p.m. this Friday (Feb. 17) at the East Pittsburgh Food Pantry, 506 Bessemer Ave.
Gail Bachy, workforce development coordinator for Mon Valley Initiative, will be available to answer questions and provide information about job training and placement services available through MVI, including programs that help people develop computer and life skills, apply for jobs, and retain jobs or move toward promotions. The event is being sponsored by East Pittsburgh Economic Development Corp. For more information, call (412) 464-4000 or email gbachy@monvalleyinitiative.com.